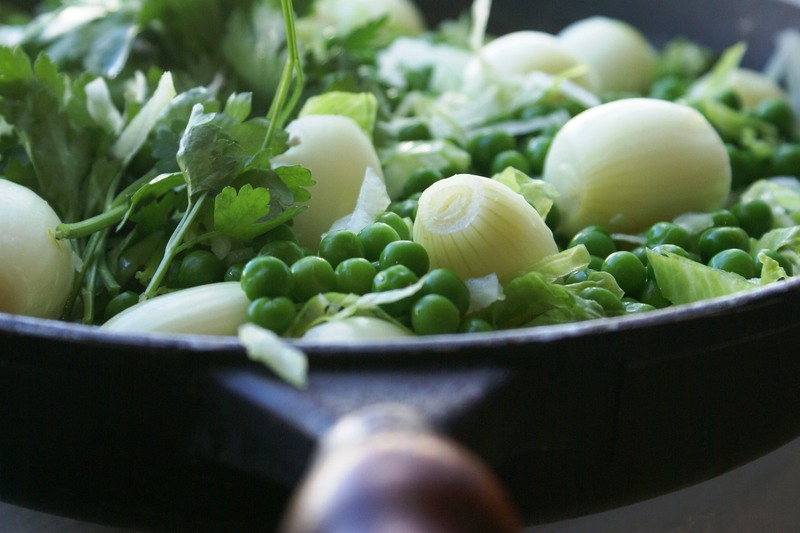 Lettuce + peas + onions – in French … Petits Pois a la Francaise. 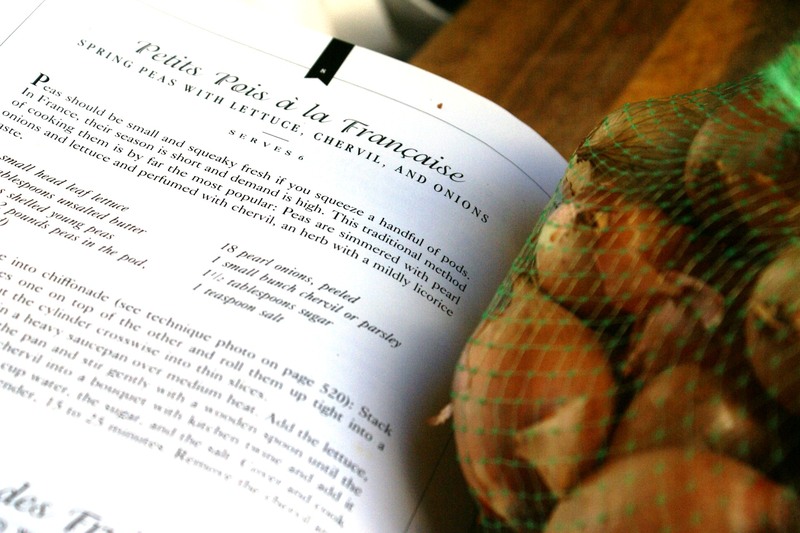 Sometime a go I decided to up my French cooking techniques and my friend Pierre (kitchenbabble.com) from Bangkok suggested we start cooking our way through Le Cordon Bleu at Home recipe book. As it then turned out, Saturdays became a specific cooking lesson, with Pierre in Bangkok and myself here in Cape Town, we set out on what was such an intriguing and rewarding international, virtual cooking experience. From other ends of the atlas, we emailed and facebooked our comparative findings. 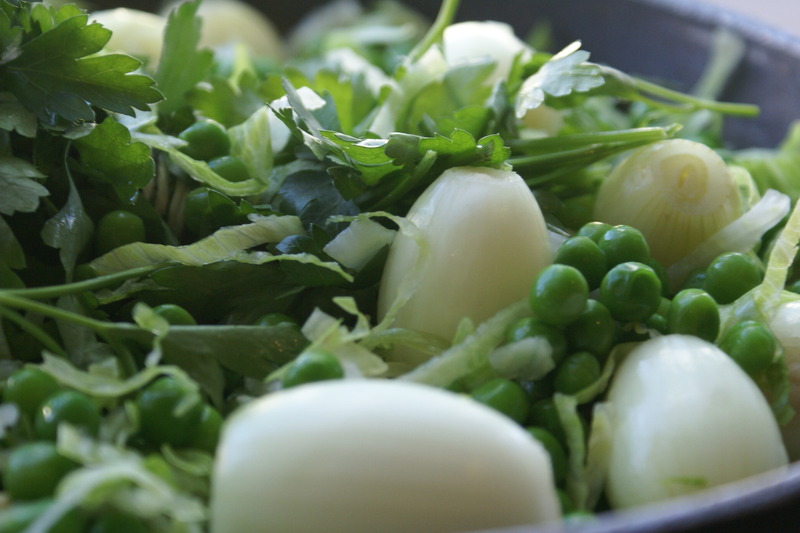 This dish of lettuce + peas + onions was a lesson in which they paired it with a roast chicken. My culinary dictionary expletives included…it is absolutely delicious!!! As it happened, we did not finish the chicken – as this dish just took centre stage on the table…. 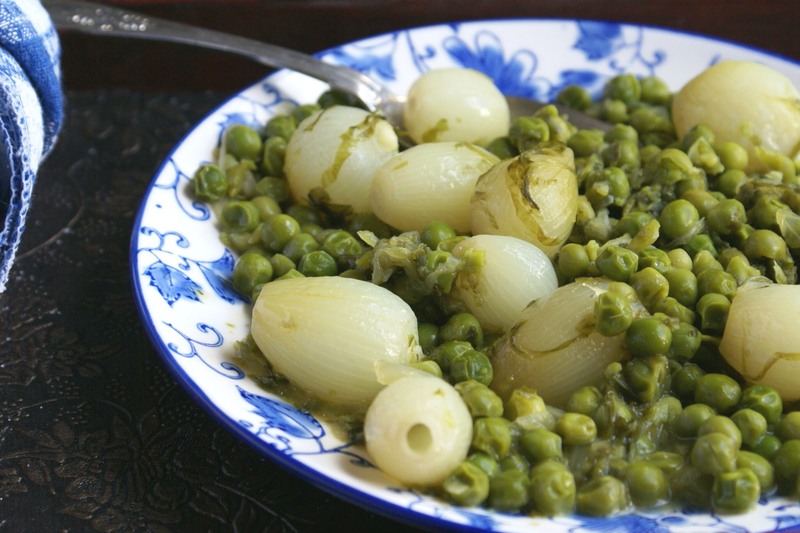 My friends tucked into this dish, with bread in hand it was like a peasant dish – or from the look of my friends, their last meal as they soaked up the juices, finishing every little last little pea! You can serve this as a side dish or as a main meal – just bring the bread, good wine..and good friends. Heat the butter in a heavy saucepan over medium heat. 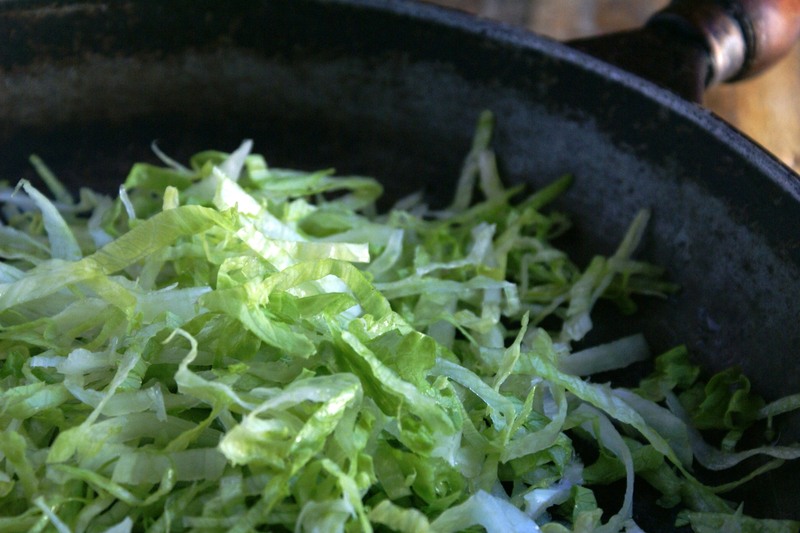 Add the lettuce + peas + onions. Stir gently until the lettuce wilts. Add the parsley + water + sugar + salt. Stand back, simmer for +/- 30 minutes, taste for seasoning, then be amazed! * Stack the lettuce leaves one on top of each other and roll them up tight into a cylinder – or something like a rolled lettuce tube. Then cut the cylinder crosswise into thin slices.